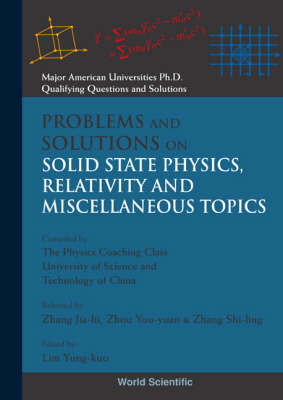 The material for this series was selected from the past 20 years' examination questions for graduate students at the University of California (Berkeley), Columbia University, the University of Chicago, MIT, the State University of New York at Buffalo, Princeton University and the University of Wisconsin.This volume comprises 165 problems. The section on Solid State Physics includes crystal structures and properties, electron theory, energy bands and semiconductors. The Relativity section covers both the special and general theories. Topics that were not appropriate for the other 6 volumes in this series appear here under the heading of Miscellaneous Topics.